This is an overview of Chris Alexander's social media activity. Use the tabs above to view each source in detail. http://startouch.thestar.com/screens/9013891c-e526-4b78-87be-c8daefcee5ce%7C_0.html Congrats to Catherine Porter and the Toronto Star for uncovering the missed opportunities of the Syrian resettlement programme: refugee families and generous sponsors deserve better. "The fox knows many things, but the hedgehog knows one big thing." The ancient Greeks knew this. But it seems hedgehogs have had some image problems since then, making this gem of an adjournment debate from the British House of Commons, featuring Minister Rory Stewart on the mysterious, magical hedgehog, well worth reading: The Parliamentary Under-Secretary of State for Environment, Food and Rural Affairs (Rory Stewart): Multa novit vulpes, verum echinus unum magnum, Madam Deputy Speaker. Tom Tugendhat (Tonbridge and Malling) (Con): In every happy home is a hedgehog, as the Pashtuns would say. I urge my hon. Friend to encourage our Pashtun community in this country to follow that example. Rory Stewart: I am very grateful for that Pushtun intervention, but my hon. Friend refers, of course, to the Asian variety of the hedgehog rather than the western hedgehog, which is the subject of our discussion today. The fox knows many things, but the hedgehog knows one big thing. I am extremely pleased to have the opportunity to respond to my hon. Friend the Member for Plymouth, Sutton and Devonport (Oliver Colvile). I believe that this is the first time that Parliament has discussed hedgehogs since 1566, when the subject was famously raised in relation to the attribution of a bounty of tuppence for the collection of the hedgehog throughout the United Kingdom. The hedgehog has undergone an extraordinary evolution. The year 1566 seems very recent, but the hedgehog was around before then. It was around before this Parliament. The hedgehog, and its ancestor, narrowly missed being crushed under the foot of Tyrannosaurus rex. The hedgehog was around long before the human species: it existed 56 million years ago. It tells us a great deal about British civilisation that my hon. Friend has raised the subject, because the hedgehog is a magical creature. It is a creature that appears on cylinder seals in Sumeria, bent backwards on the prows of Egyptian ships. The hedgehog has of course a famous medicinal quality taken by the Romany people for baldness and it represents a symbol of the resurrection found throughout Christian Europe. This strange animal was known, of course, in Scotland, Wales and Ireland originally in Gaelic as that demonic creature, that horrid creature, and is the hedgehog celebrated by Shakespeare: “Thorny hedgehogs, be not seen… Come not near our faerie queen”, and famously of course in “Richard III” there is that great moment when Gloucester is referred to as a hedgehog. It tells us something about Britain today; it represents a strange decline in British civilisation from a notion of this magical, mystical, terrifying creature to where it is today, and I refer of course to my own constituent, the famous cleanliness representative of Penrith and The Border, Mrs Tiggy-Winkle. I want to be serious for a moment. The hedgehog is of course an important environmental indicator, with its habitat, its ability to occupy 30 hectares of land, and its particular relationship to the hibernaculum, by which I mean the hedgehog’s ability, almost uniquely among animals in the United Kingdom, to go into a state of genuine hibernation. Its heartbeat goes from 240 a minute to only two a minute for six months a year. It has a particular diet—a focus on grubs and beetles. The street hedgehog initiative, which my hon. Friend has brought forward, reminds us that, by cutting holes in the bottom of our hedges, we can create again an opportunity for hedgehogs to move. The hedgehog provides a bigger lesson for us in our environment—first, a lesson in scientific humility. The hedgehog has of course been studied for over 2,000 years. The first scientific reference to the hedgehog is in Aristotle; he is picked up again by Isidore of Seville in the 8th century and again by Buffon in the 18th century, and these are reminders of the ways in which we get hedgehogs wrong. Aristotle points out that the hedgehog carries apples on his spine into his nest. Isidore of Seville argues that the hedgehog travels with grapes embedded on his spine. Buffon believes these things might have been food for the winter, but as we know today the hedgehog, hibernating as he does, is not a creature that needs to take food into his nest for the winter. Again, our belief in Britain that the five teeth of the hedgehog represent the reaction of the sinful man to God—the five excuses that the sinful man makes to God—is subverted by our understanding that the hedgehog does not have five teeth. Finally, the legislation introduced in this House, to my great despair, in 1566 which led to the bounty of a tuppence on a hedgehog was based on a misunderstanding: the idea that the hedgehog fed on the teats of a recumbent cow in order to feed itself on milk. This led to the death of between of half a million and 2 million hedgehogs between 1566 and 1800, a subject John Clare takes forward in a poem of 1805 and which led my own Department, the Ministry of Agriculture, in 1908 to issue a formal notice to farmers encouraging them not to believe that hedgehogs take milk from the teats of a recumbent cow, because of course the hedgehog’s mouth is too small to be able to perform this function. But before we mock our ancestors, we must understand this is a lesson for us. The scientific mistakes we made in the past about the hedgehog are mistakes that we, too, may be mocked for in the future. We barely understand this extraordinary creature. We barely understand for example its habit of self-anointing; we will see a hedgehog produce an enormous amount of saliva and throw it over its back. We do not understand why it does that. We do not really understand its habit of aestivation, which is to say the hedgehog which my hon. Friend referred to—the Pushto version of the hedgehog—hibernates in the summer as well as the winter. We do not understand that concept of aestivation. For those of us interested in environmental management, the hedgehog also represents the important subject of conflict in habitats. The habitat that suits the hedgehog is liminal land: it is edge land, hedgerows and dry land. The hedgehog is not an animal that flourishes in many of our nature reserves. It does not do well in peatland or in dense, heavy native woodland. The things that prey on the hedgehog are sometimes things that we treasure. My hon. Friend mentioned badgers. Rebecca Pow: Does the Minister agree that the successful survival of our hedgehog population is a direct reflection of how healthy and sustainable our environment is? It is important that we should look after the environment, because the knock-on effect of that will be that our hedgehog population will be looked after. Rory Stewart: That is an important point. The hedgehog is a generalist species, and traditionally we have not paid much attention to such species. We have been very good at focusing on specialist species, such as the redshank, which requires a particular kind of wet habitat. The hedgehog is a more challenging species for us to take on board. As I was saying, the hedgehog is a good indicator for hedgerow habitat, although it is not much use for peatland or wetland. The hedgehog raises some important environmental questions. One is the question of conflict with the badger. Another is the question of the hedgehog in the western isles, which relates to the issue of the hedgehog’s potential predation on the eggs of the Arctic tern. Patrick Grady (Glasgow North) (SNP): On the point about the hedgehog in the western isles, we have established that hedgehogs are a devolved matter. My hon. Friend the Member for Na h-Eileanan an Iar (Mr MacNeil) is not in the Chamber at the moment. Scottish Natural Heritage is doing careful work to humanely remove hedgehogs from the Hebrides, and it would be interesting to hear how the UK Government intend to support that work. Rory Stewart: This is an important reminder that things that matter enormously to our civilisation, our society and our hearts—such as the hedgehog—have to be in the right place. In New Zealand, hedgehogs are considered an extremely dangerous invasive species that has to be removed for the same reasons that people in Scotland are having to think about controlling them there. It does not matter whether we are talking about badgers, hedgehogs or Arctic terns—it is a question of what place they should occupy. Finally—and, I think, more positively—what the hedgehog really represents for us is an incredible symbol of citizen science. The energy that my hon. Friend the Member for Plymouth, Sutton and Devonport has brought to the debate is a great example of British, or perhaps English, eccentricity, and it is on the basis of English eccentricity that our habitat has been preserved. Gilbert White, the great 18th century naturalist, was himself an immense eccentric. It has been preserved thanks to eccentrics such as my hon. Friend and, perhaps most famously of all, Hugh Warwick, the great inspiration behind the British Hedgehog Preservation Society. He has written no fewer than three books on the hedgehog, and he talks very movingly about staring into the eyes of a hedgehog and getting a sense of its wildness from its gaze. These enthusiasts connect the public to nature, sustain our 25-year environment programme and contribute enormously to our scientific understanding of these animals. This is true in relation to bees, to beavers and in particular to Hugh Warwick’s work on hedgehogs. I am also pleased that the hon. Member for East Kilbride, Strathaven and Lesmahagow (Dr Cameron) mentioned national hedgehog day in an earlier intervention. Ultimately, we need to understand that the hedgehog is a very prickly issue. The reason for that is that my hon. Friend the Member for Plymouth, Sutton and Devonport has raised the question of adopting the hedgehog as our national symbol. Some hon. Members will remember that the hedgehog was used by Saatchi & Saatchi in an advertising campaign for the Conservative party in 1992 general election. We should therefore pay tribute to the hedgehog’s direct contribution to our election victory in that year. But I would like to challenge my hon. Friend’s assertion that the hedgehog should become our national symbol. I ask you, Madam Deputy Speaker, as I ask those on both sides of this House, because this question concerns not only one party, but all of us: do we want to have as our national symbol an animal which when confronted with danger rolls over into a little ball and puts its spikes up? Do we want to have as our national symbol an animal that sleeps for six months of the year? Or would we rather return to the animal that is already our national symbol? I refer, of course, to the lion, which is majestic, courageous and proud. If I may finish with a little testimony to my hon. Friend and to those innocent creatures which are hedgehogs, perhaps I can reach back to them not as a symbol for our nation but as a symbol of innocence to Thomas Hardy. He says: “When the hedgehog travels furtively over the lawn, One may say, ‘He strove that such innocent creatures should come to no harm, But he could do little for them; and now he is gone.’ If, when hearing that I have been stilled at last, they stand at the door, Watching the full-starred heavens that winter sees, Will this thought rise on those who will meet my face no more, ‘He was one who had an eye for such mysteries’? Madam Deputy Speaker (Mrs Eleanor Laing): I paused because I wanted to encourage some more positive noises for the Minister, who has just made one of the best speeches I have ever heard in this House. Question put and agreed to. 7.41 pm House adjourned. 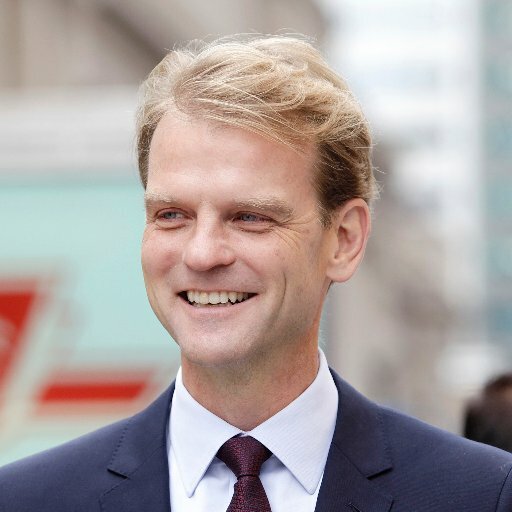 17 Chris Alexander on Twitter: "On October 19th, vote to keep our families and our communities strong. http://t.co/VYtujggh4W http://t.co/6lqUVvi5dH"
8 Chris Alexander on Twitter: "On October 19, vote to protect our economy. http://t.co/EhVxCEw4iP"
4 Chris Alexander on Twitter: "Visited the Hindu Cultural Society in #Scarborough with @LeslynLewis in celebration of #Navratri! http://t.co/ArxNEqQx70"